At DeLand Chiropractic & Spinal Decompression, our mission is to be Volusia County's #1 destination for Chiropractic, weight loss, and wellness. For musculoskeletal conditions and sports injuries, we employ a wide variety of Chiropractic adjustment techniques including Gonstead, Thompson Drop, Activator, Cox Flexion Distraction, and Diversified. Additionally, many of our patients are referred to our office for DRX 9000 Non-Surgical Spinal Decompression therapy by their medical doctors, orthopedists, and surgeons for conservative treatment of their herniated discs, spinal stenosis, and degenerative disc disease. By providing a holistic approach to patient care, our physicians focus on the health of the entire patient, not just an injured body part. Our Ideal Protein weight loss program is an internationally recognized, physician-supervised, patient centered weight loss and lifestyle protocol which employs one-on-one coaching, nutritional education, and customized cooking classes. This comprehensive approach allows our patients to quickly, safely, and efficiently burn fat and lose weight, with many of our patients losing 10-15 pounds per month. 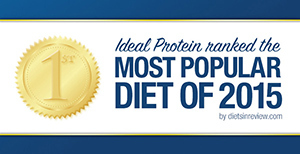 Ideal Protein is a great choice for patients and dieters searching for a drug-free, natural approach to treating obesity, diabetes, hypertension, and high cholesterol. To date, our patients have lost over a combined 8,600 lbs and hundreds of lives have been changed for the better. Our doctors advocate CrossFit as well as other weight bearing, intensive exercise programs to improve core muscle strengthening and stabilization. Improved muscle tone and flexibility achieved with CrossFit is effective at strengthening the supporting musculature around the spine and peripheral joints, and helps to improve posture as well as prevent injuries. 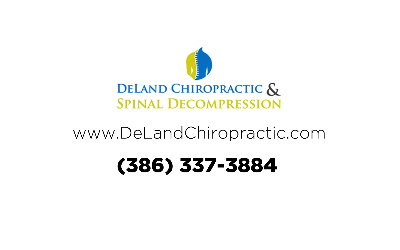 DeLand Chiropractic & Spinal Decompression is currently accepting new patients. We accept most major insurance plans, Medicare, auto accident insurance, and Workers Compensation cases. Cash, check, Visa, MasterCard, American Express, Discover, and Care Credit accepted. Convenient, low monthly payment plans available. We would be honored to help you and your family members reach your health care and wellness goals. Wellness awaits you, and your journey begins here. 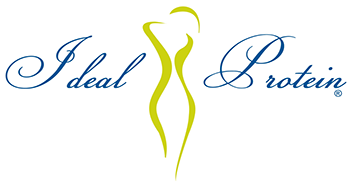 A DeLand Chiropractor winner of the 2015 Patients' Choice Awards. *Weight loss results will vary for each individual.